Most day care centers and home day cares are set up to support working parents who work traditional hours: Those who start around 9 a.m. and end around 5 p.m., Monday through Friday. This is why day cares typically open around 7 a.m. before parents head off to work and close around 6 p.m. when parents get off duty. However, with a growing number of parents working jobs with nontraditional hours, there is a need for day cares that are open 24 hours a day. Some of the families that require 24-hour child care are made up of two working parents who work multiple jobs at odd hours. Others are made up of a single parent with no other adults available to help look after the kids. Some parents work night shifts, while others need to work on weekends. It is estimated that nearly 40 percent of Americans now work nontraditional employment hours, but only 9 percent of day care centers are open to take in kids on evenings and weekends, according to the National Women’s Law Center. This shows that there is a lot of opportunity for 24-hour day care centers. 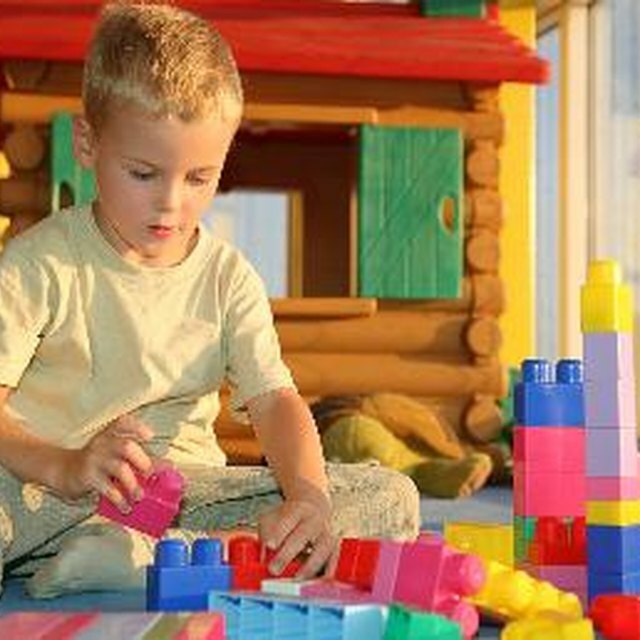 If you’re looking to start your own 24-hour day care, it’s important to be aware of the rules and regulations for child care centers in your state, as they can vary from place to place. You will need to follow the guidelines for a small business owner and a child care provider. Start by figuring out what kind of license you need to own and operate a day care in your state. After all, child care is one of the most heavily regulated businesses. You’ll need to find out how many children you can have in your care, how old they need to be and how many hours you can provide care. For example, in New York, a caregiver can supervise up to six children if they are under school age and up to eight children if two of the children are over school age. The regulations will also stipulate what kind of equipment you need to have in your day care, the kind of building in which you can provide care and the temperature you need to keep your center. In order to keep your 24-hour day care above board, it’s vital to strictly follow the rules and regulations provided by your state. Once you’ve identified the kind of licensing you need to open a day care and understand the rules and regulations you will need to follow, it’s important to draft a business plan for your venture. Even if you don’t require a business plan to take out a loan for your operation, it’s vital to do the research and planning to ensure your day care will be a success. Like with any business, you will need to write out a mission statement. What is it that you are aiming to do with your day care? What is your main goal? Defining this critical step will help you to plan the other important aspects of your business. Your business plan should outline your organizational plan, including staffing, operations and budget. How many children do you plan to look after at one time, and how many supervisors will you need to have according to the regulations in your state? How much will you pay your staff, and how much will your charge the parents? In addition, it’s important to establish how much money you will need to run your day care. Consider startup expenses such as the equipment you’ll need to purchase before opening your doors, like cribs, bedding, toys, baby gates, plastic dishes and highchairs. You’ll also need to keep in mind reoccurring expenses such as food, milk, formula, cleaning products and diapers. If the parents will be providing you with some of those materials, you can factor that into your budget. Your business plan should also include detailed research of your target market. What kind of parents will you be targeting with your 24-hour child care, and what age group of children do you want to look after? Figure out what is in your competitive landscape. Are there any other operations that offer overnight day care services in your area? When looking at the competition, keep an eye out for how much they charge and what services they offer. This will help you to establish your own services and prices. Your business plan should also include how you will run a profitable day care business. How much money will you need to make each week in order to earn what you need to be successful? Be sure to accurately factor in your expenses. Will you need to take out a small business loan, or will you be looking into day care grants provided by your local government? Include these details in your business plan so you have a clear idea of how you will start and run your 24-hour day care. After doing your market research and gaining an understanding of your target audience and any competition, figure out the best location for your 24-hour day care. If you’re opening up the day care in your home, you’ll need to make sure that the parents you are targeting can easily get to your location. If you’re opening up a separate location, you may want to make sure it’s near workplaces that have nontraditional hours, such as hospitals or factories where night shifts are common. Some day cares offer transportation to and from their location. This can be a differentiator for your business and may prove convenient for parents. If this is the case, you’ll need to make sure you have a vehicle that can accommodate all of the children you’re caring for with the proper car seats installed for each one. Establish your time for child care. Even if your day care is open 24 hours a day, you’ll need to set certain limits. For example, will you care for children seven days a week, 24 hours a day, or will you only open your business on weekdays and take the weekends off? Will you hire additional staff to cover the night shift so you can get some sleep if you’re also looking after children during the day? Make sure you have a plan in place because you won’t be able to physically work 24 hours a day, seven days a week. In addition to your hours, figure out what kind of programs you’ll offer for each age group. For example, you can provide homework help to school-aged kids in the evening or take toddlers on field trips during the day. If you have babies in your care, create a schedule for their nap time and play time that matches what they have at home so you help them to feel comfortable in your care. How Do You Market a Day Care Center? You’ll need to find a way to tell your target audience about your 24-hour day care center. In today's market, having a website is essential. Create an online presence for your business with a website and social media channels. You can use your website to talk about your experience, your services and what makes your day care unique. Use social media to share photos of your facility. Be careful not to share pictures of the children in your care without their parents’ permission. You can post photos of activities you’re doing with the kids and meals they eat throughout the day. It’s a good way to show potential customers what your day care is like. When looking for new customers, register your business in local child care directories and advertise in local parenting groups and parenting publications. Even if you’ve already filled your child roster, continue ongoing marketing activities so you always have a customer base to turn to whenever you have an opening. When setting up a home day care, dedicate a space in your house where the kids in your care can learn and play. If you have a separate room for sleeping, set up the cribs, beds and floor mats in a way that is easy for you and the kids to move around. Make sure you have thick blinds or curtains on the windows to create a dark space to sleep with little distractions. If the children will be sleeping in the same room in which they play, have a space where you can store the sleep equipment that makes it easy to pull out and put away each day. Ask the parents to bring a favorite blanket and stuffed animal for each child so they can feel comfortable when going to sleep. Mealtimes can be hectic with many little kids. Depending on the ages of the children for whom you’re caring, you may need to purchase highchairs or booster seats to help the children sit at the table. Get reusable plastic plates and cutlery so there are no breakables or sharp objects. Children often learn while imitating, so try to eat at the table with the kids so they can follow your lead. Depending on the ages of the children, you will want to create a tailored routine for each day. Many programs start off the day by eating breakfast and then singing a few songs in the morning, followed by going outside to play if the weather permits. After that, it’s time for a snack, followed by some indoor activities, like coloring or crafts, and then lunch. Many small children up to four years old have a nap for a few hours in the afternoon. After that, you can go to the park or play with toys inside. When older kids are back from school, you can provide the kids with a snack and help them with their homework. After dinner, it will be time to help the children with their bedtime routine, including bathing, changing and reading or singing songs. Decide what you’ll do when you have nighttime wake-ups from any of the kids. Fun activities for several age groups include playing outside at the park, drawing with sidewalk chalk, playing with water guns or water balloons and playing in the sandbox. Other ideas including planting a garden to maintain with the kids or teaching them how to play music with household objects. Buckets and spoons make great drum sets, while plastic bottles filled with sand can be used as shakers. Regardless of what activities you’re providing in your day care, be sure to follow the rules and regulations provided by your state for running a day care. In addition, it’s important to keep in mind that while you may be offering service 24 hours a day, you also need to take into account your own needs and make time for yourself to recharge after a busy day.